WATCH SAFETYSUIT LIVE AT 35 ON SOUTHWEST AIRLINES BELOW! 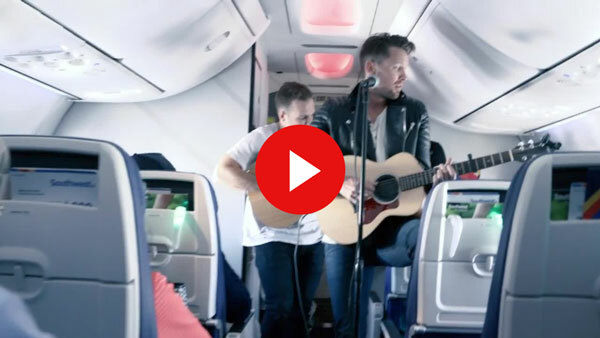 SAFETYSUIT PERFORMED THE FIRST-EVER LIVE AT 35 ON THE NEWEST ADDITION TO SOUTHWEST’S FLEET: THE BOEING 737 MAX 8! Special thanks Southwest Airlines for putting on such a fun event, and to PixMob and the super cool LED wristbands! And congratulations to the 4 winners of the #liveoneaplane tickets giveaway. We had a blast with you, and we’ll see you again soon!